Dr. Margaret M. Jastreboff received her Ph.D. in Biological Sciences from the Polish Academy of Sciences (1982), and postdoctoral training in pharmacology and molecular biology at Yale University School of Medicine. She has been involved in tinnitus research since 1984 and full-time since 1991 while working at University of Maryland School of Medicine. Her experimental work encompassed the study of the mechanisms of tinnitus using molecular biology, pharmacology, and behavioral techniques, including testing drugs for their effectiveness for tinnitus attenuation. She has been involved in clinical work for number of years as well, while working first as an Associate Professor at Emory University and later as a Visiting Research Professor at Towson University. In 1993 she shared with Dr. Pawel J. Jastreboff Robert W. Hocks an award for her contribution to the field of tinnitus. 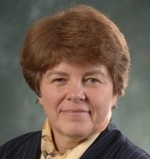 After over 35 years in academia where she was involved in basic science and clinical research, teaching Audiology Doctor students and treating patients, she became President of JHDF, Inc., a non-profit foundation dedicated to research in the field of tinnitus and decreased sound tolerance, treating patients and providing education for health care providers. She has organized 37 courses on Tinnitus Retraining Therapy in the USA and 73 courses abroad. She is a co-author of over 65 papers and 100 abstracts. Please check out the Tinnitus & Hyperacusis Center website. If you would like more information or have further questions please send an email to Dr. Jastreboff. Many people have tinnitus for “as long as they can remember”. It is particularly common for children who often state “Doesn’t everyone hear some sounds in their head?” Some people who have tinnitus for many years are not bothered by it and, in fact, they do not notice it most of the time. When unexpected sudden changes in tinnitus (e.g., change in pitch or loudness) occur, these individuals notice their tinnitus and often seek advice from their healthcare provider. Unfortunately, they often hear: “Nothing can be done. You will have to learn to live with it. Just in case let us do more testing…”. The tinnitus, which had not bothered them or perhaps only mildly annoyed then, suddenly becomes important, acquires negative associations, and starts activating defensive mechanisms in their brain and body. As a person tries to get help, each unsuccessful attempt increases their frustration and only serves to strengthen the negative reactions evoked by tinnitus. The situation can be likened to being put in a room with a snake without knowing whether it is harmless or deadly. It becomes impossible to ignore the snake. Likewise, not knowing whether tinnitus is harmless or harmful, it becomes impossible to ignore it. Many people turn to the internet for answers, thus finding a multitude of personal stories on the severe, negative impact which tinnitus has had on other people’s lives and how they unsuccessfully searched for a remedy. This alone is sufficient to turn tinnitus into a highly significant and bothersome phenomenon or exacerbate an already bothersome issue. The irony of this situation is that tinnitus is indicative of a medical problem in less than 1% of patients and these medical problems are typically easily identified and treated by ENT doctors. For over 99% of patients with tinnitus, tinnitus is a compensatory mechanism within the auditory system to some small and irrelevant (from a health point of view) problem. Typically, when people associate tinnitus with something dangerous or unpleasant they follow a vicious circle of thoughts and behaviors. It starts with concerns and questions regarding what this new signal represents (“Is it important? Does it indicate danger?”) And thus leads to increased monitoring of their tinnitus. Tinnitus gradually acquires an increasingly negative meaning and the brain learns to respond to it automatically (similar to the response to the sound of a security system). Continuous thinking, analyzing, and drawing of conclusions (e.g., “perhaps my tinnitus is a warning sign of something bad happening to me”) leads to focusing and constant evaluation of this new signal (“Is it louder today? Did it fluctuate in volume?”) That then obstructs attention. Since we can only do one task requiring our full attention at the given moment, if we are concentrating on our tinnitus we cannot attentively do other things (e.g., listen attentively to someone talking to us). Frequently with time tinnitus becomes more annoying, increasing stress and causing fatigue. It becomes increasingly irritating as one cannot control or escape from this unwanted sound (“I miss silence”). For some people tinnitus becomes a threatening signal and they develop anxiety, sleep disturbances, depression, and lose the ability to enjoy many activities they used to enjoy in the past. These negative reactions evoked by tinnitus show us that not only is the auditory system involved in the response to tinnitus, but our emotional (limbic) system and the system which controls automatic body reactions (the autonomic nervous system) are both involved as well. The limbic system controls our emotional expression, memory storage and recall, motivation and mood, influences hormonal systems, and autonomic functions. The autonomic nervous system, controls the functions of the brain and body over which we do not have conscious control (e.g, breathing, the beating of our heart, digestion, the tension of our muscles). An over-activation of this system may occur as a response to a trigger of the flight-or-fight response (e.g., problems at home, at work or any serious health issue), and this system can be activated by tinnitus as well. When someone is under a high level of stress she/he is easy irritable, has problems remembering things, become stressed, experiences decreased ability to enjoy life activities (and can be likened to trying to eat a nice dinner 10 minutes before a dental procedure) and instead focuses his/her attention on the problem. Moreover, if one cannot do anything with the problem (cannot fight it or run away from it), one feels as though he/she has no control over it, thus the frustration grows and makes the negative reactions evoked by tinnitus increasingly severe. Very interesting article. Its quite true, different persons encounter tinnitus through different factors and circumstances, there are many different specific things that may cause tinnitus.